These are our youngest children aged from 0 – 16 months. The emphasis in the baby room is love, warmth and security in a stimulating area. We have a core team of staff and work with a staff ratio of 1:3. Our Caterpillar room offers an array of learning opportunities, as well as several cosy areas for children to sleep, including a separate sleep room. From day one we promote and build strong relationships with our parents and carers. Staff are fully trained and knowledgeable and provide stimulating activities at an age-appropriate level for the children. Your baby will be allocated their own Special Carer in order that strong relationships can be built and a special understanding between the member of staff, yourself and baby can be developed. The contentment and happiness of your baby is paramount. In Caterpillars we provide bright, comfortable surroundings for the babies to play, rest and eat. The Caterpillar babies have every opportunity to reach, grasp, roll, crawl, sit, climb, balance and even take those first steps in this light and spacious room. Our Special Carers are also on hand to offer a cuddles and comfort to support and reassure where needed. 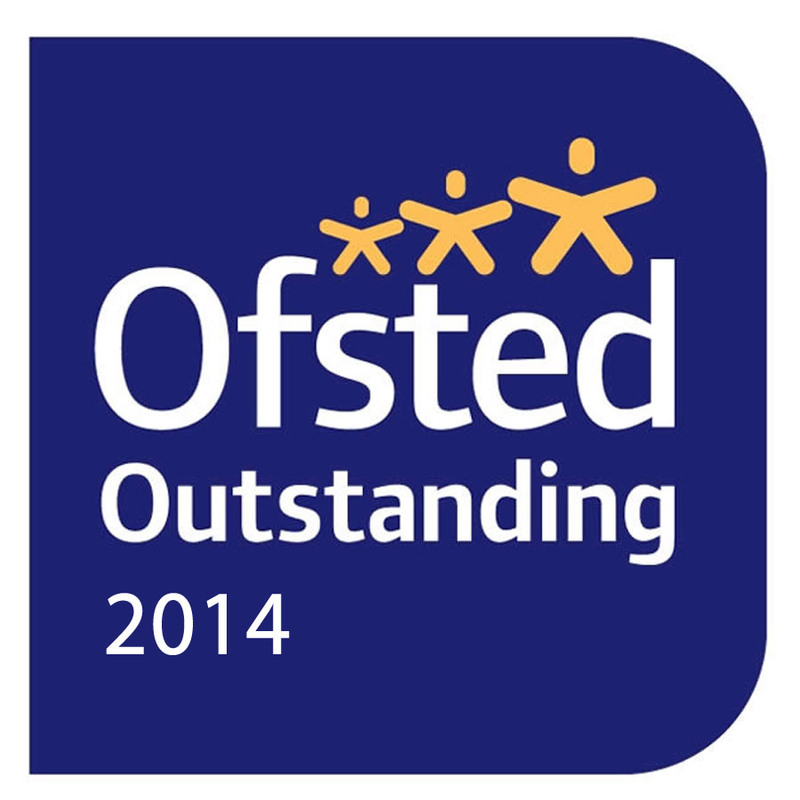 All the activities that we do are carefully considered so that they enhance the development of each individual child. The babies have their own special Baby Garden which provides a safe and secure area to explore the outdoors at various times throughout the day. Our babies enjoy this outdoor space where they are given opportunities to enhance their physical abilities as well as many more learning opportunities/experiences within the outside world. Our babies go on many walks around the local community often visiting the horses or observing people/vehicles as they go – they are always very excited! All of our meals are made freshly on site every day by our Nursery Cook. We have a 26 day rolling menu and our cook ensures that all of our nursery children eat a healthy, well-balanced diet. We support all stages of weaning within our Caterpillar room – we invite you to update us regularly as you begin to add more foods into your child’s diet. We cater for all faiths and support allergies here at Busy Bears – just let us know your needs. Full copies of our Summer & Winter menus are available for parents to see. We also display our ‘Meal of the Month’ and invite you to try our delicious recipes at home too. Our cook has a wealth of experience and any special dietary needs can be catered for and alternatives to the set menu can be provided subject to prior agreement with the nursery team. Please look on the Healthy Eating page for more information. 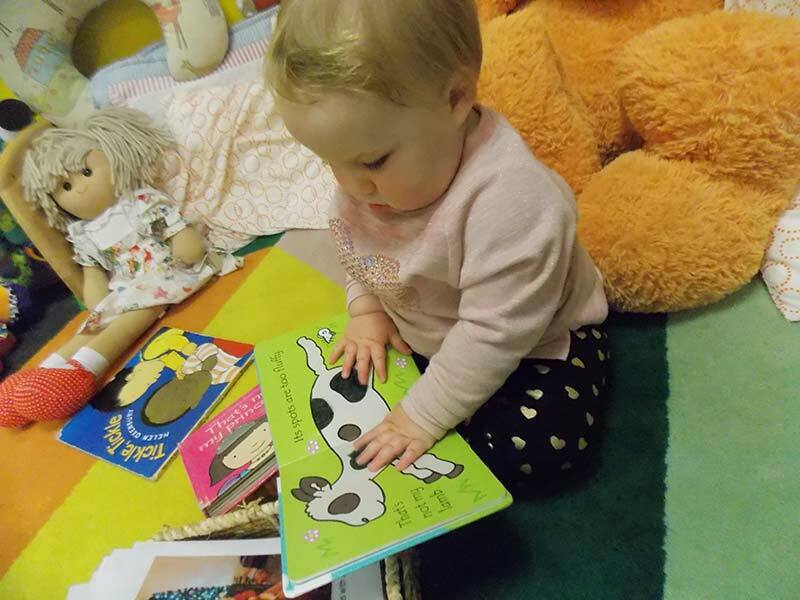 We believe that baby signing helps babies to develop their early language skills and encourage communication. Each of our nursery rooms have iPod’s that cater with various musical activities. Signing Tots is a firm favourite amongst our children and all staff receive internal training on how to offer these signing songs. 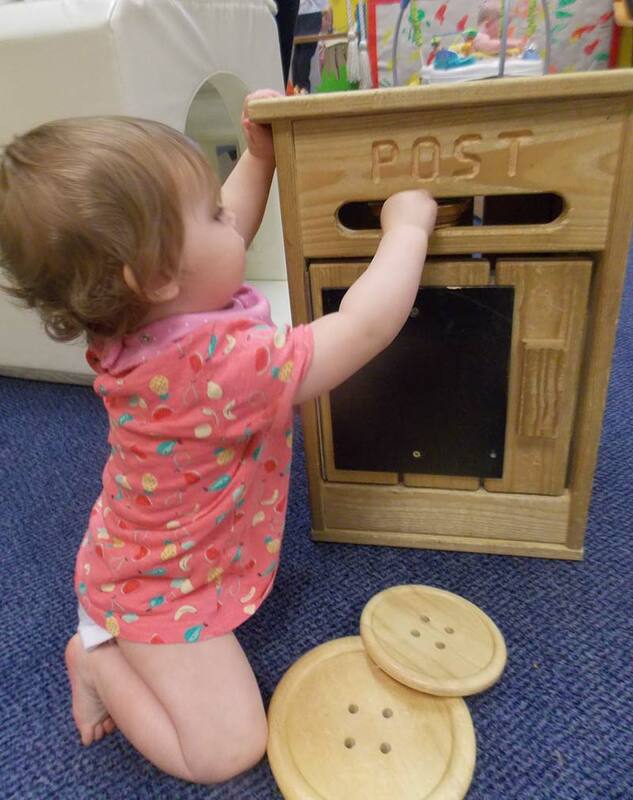 Signing Tots provides opportunities for children in the early stages of their communication and language development to express their needs, feelings and wishes. 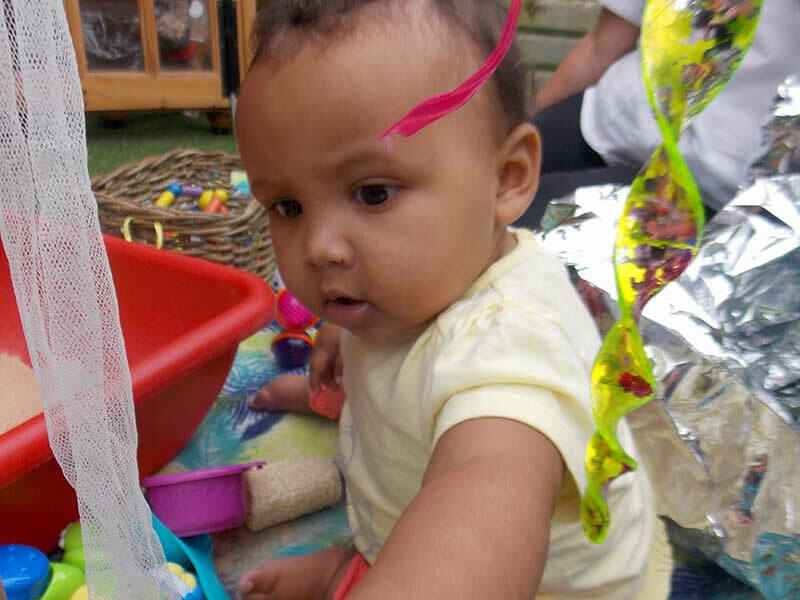 We believe that using baby signs helps babies learn to begin to make sense of the world around them. It is wonderful when a baby communicates with us to let us know what he/she needs. Our Ladybird room caters for children from 12-20 months. This room is for our little movers – and the emphasis in this area is fun, play and stimulation. The children have access to a wide variety of resources and activities to promote the development of the many skills appropriate to their needs. The room is similar to our Caterpillar room. It is spacious and provides opportunities for free movement, climbing & challenges. The room has a separate kitchen area, sleep room & nappy changing station. All areas offer a wide variety of activities for the children with a range of messy and creative resources to promote sensory exploration. The Ladybird children have access to a specific baby Garden, as well as the wider nursery garden. Our Ladybirds are encouraged to build their balance, exploring different methods of movement including running and trying a range of physical activities. The children also take great delight in the many musical activities on offer to them including Signing tots, musical instruments, dancing scarves and much more. Our Butterfly Room caters for children aged from 16-26 months. In Butterflies the aim is for our children to become more independent and to be safe, happy and stimulated in a challenging environment. Our Butterflies particularly enjoy our play steps which promotes safe-risk taking & safe-stair use. Children at this age are going through a crucial stage of language development. This is an area that is actively promoted throughout their time in the Butterfly Room through songs, stories and general communication. Again, our Butterfly room has a separate kitchen area, bathroom and sleep room to support all areas of need. Our Special Carers refer to each child’s care plan when supporting sleeps in nursery. We try to blend free play with a sequence of structured activities that are carefully tailored towards the needs of the children. At the same time, we always respond to children’s choices and their own personal interests and adapt planning to suit. The Butterfly children have access to the outdoor area throughout the day and take delight in exploring and investigating within this space. They can often be seen in the mud kitchen, hiding in the tyres, climbing over/under the luna obstacle course or manoeuvring around and skilfully negotiating space successfully, adjusting speed or direction to avoid obstacles & peers.